Sunscreen Facts Decoded - Which sunscreen is best for you ? 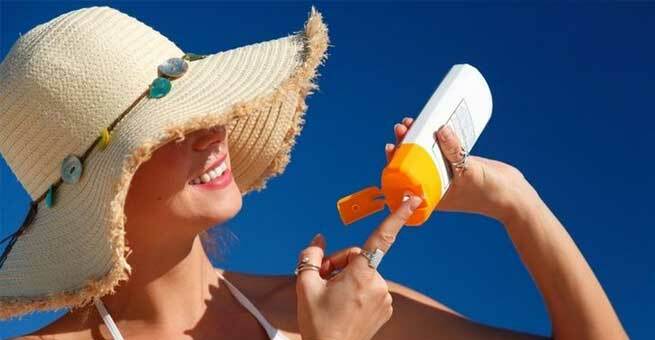 Sunscreen Facts Decoded – Which sunscreen is best for you ? The sun is at its scorching best this time of the year, and clearly it’s time for protecting our skin from the negative effect of the sun. Sunscreen is the most sold out product worldwide during summers and for obvious reasons. Picking up a random sunscreen will not help you solving your skin issues so you need to know which sunscreen is best for you and invest in that one. Sunscreen basically protects the skin from sun damage usually caused by the ultraviolet radiation (UVR). This happens because of the organic chemicals which absorbs the light and then dissipate it as heat. They are in other terms, inorganic filters on the skin that reflects the UV rays. Sunrays particularly consist of 3 types and they are UVB, UVA and UVC. Sunscreen with SPF 30 filters 97% of UVB rays. Everybody is subject to the potential adverse effect of the sun regardless of their ethnicity or race. The skin type will decide the severity of the effect of sun’s UV rays. As per the Food and Drug Administration (FDA), the skin type is of 1 to 6 on a scale. People with 1 to 2 skin type have fair skin and they tend to burn their skin more rapidly similarly people belonging to higher numbers such as 5 and 6 will be dark skinned and this skin will not burn easily. Sunscreen lotions are mainly protecting from UVB rays however there are certain sunscreens that protect from UVA rays too. This kind of sunscreen is called broad spectrum sunscreens and they are highly recommended. When it comes to sunscreen lately there has been a lot said about the water proof and the water resistant sunscreen. The effect of the sunscreen on the skin depends upon the how well it copes up after bathing, perspiring or swimming. The sunscreen that is able to maintain its SPF level even after forty minutes after water exposure of the skin is considered as water resistant. A waterproof sunscreen is one that sustains its SPF level after 80 minutes of water exposure. So water proof sunscreen is better for those who often engage in water activities like swimming. In the USA, FDA has allowed just the term Water resistant and not water proof because no product is hundred percent waterproof. Water resistant sunscreen therefore retains its SPF value even after the skin exposure in water for certain time. If you want to test the resistance of the water resistant sunscreen, then you need to apply appropriate amount of sunscreen on the arm and then submerge the arm in the water for 40 or 80 minutes. Then you can measure the SPF with the usual procedure. Note: Just because the product claims to be water resistant, it does not necessarily mean that you can stay in the water for 40 minutes. The actual meaning of such a statement is that after 40 minutes in water you may expect the decline of SPF protection and you will need to reapply the sunscreen in order to maintain its actual SPF value. The main point to understand is that no sunscreen will give you a “all-day protection.” The chemical absorbers just absorb the rays and they turn to be unstable after long exposure to sun. The application of sunscreen has to happen around 10-20 minutes before you go out. High SPF sunscreen does not necessarily mean that they offer broader or better protection. SPF is just an indication of the amount of UVB protection a product would provide and it does not tell us how much UVA has been blocked. Another very important fact to note is that no sunscreen would provide complete protection from the sun. Sunscreen having Zinc Oxide does offer blocking (reflective) capabilities however it does let the UV rays to penetrate into the skin.